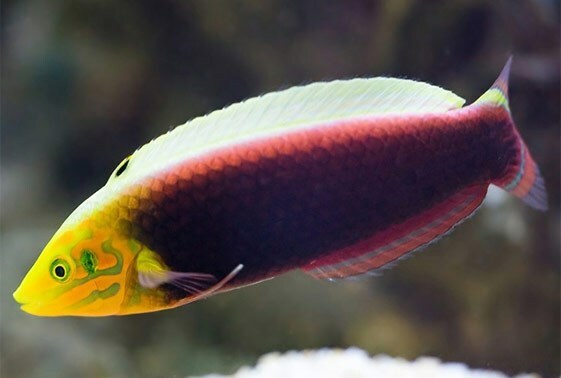 The Radiant or Iridis Wrasse comes from Africa and doesn’t show up very often. It’s a very tough fish to keep as it doesn’t usually eat and eventually starves to death. Needs sand to drive into and also a tight cover as and it will jump. Most seem to die and should only be handled by experts.